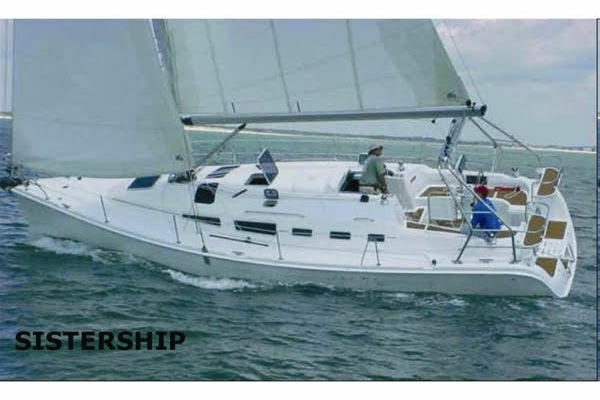 IF YOU ARE LOOKING FOR A COMFORTABLE, WELL DESIGNED SAILING YACHT? "SERENO II" IS READY TO TAKE YOU ANYWHERE YOUR HEART DESIRES! 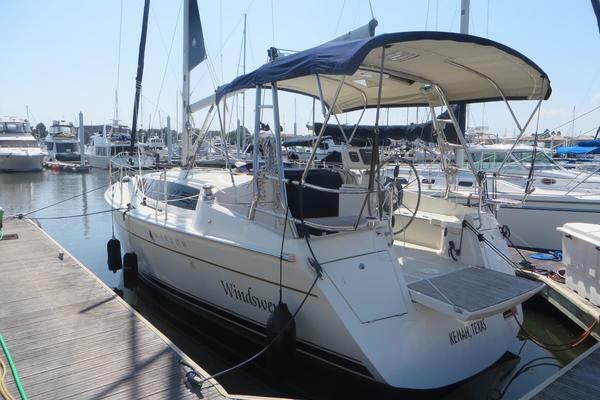 CALL TODAY TO SEE THIS PROVEN, GREAT SAILING, BLUEWATER YACHT! Sereno II is an amazing boat. Not because she is a beautiful Hunter 41 Deck Salon or the fact that she is in excellent condition, equipped very well, but because she has completed a remarkable voyage from Oxnard, CA to Brunswick, GA that many boats claiming to be "blue water" sailboats could not do. This beautiful vessel has come through the roughest weather the Pacific Ocean, Caribbean and Gulf of Mexico can throw at her and has no stress cracks in her gel coat, no broken tabbing down below. She looks and feels like the true blue water cruiser she is! If you are ready sail Sereno II into the sunset, she will be an excellent choice to get you where you are going safely and very comfortably! This well laid out vessel has (2) Master Staterooms forward and aft. Each has a private head with a separate shower. Aft the full Queen bed sports a custom 7" innerspring mattress. The DECK SALON version of the Hunter 41 is completely different from any boat you have been aboard. The first thing you will notice is the amazing 6' 10" headroom!! The boat feels open and light and you will never have a feeling like you are down in a cave like most traditional sailboats. Coming down the easy to use companionway steps, the huge "L" shaped galley is to port. It has a front opening Nova Cool 12 Volt refrigerator, and a front opening Nova Cool 12 Volt freezer and a Seaward Princess 3 burner propane stove and oven. The double stainless sinks face forward into the salon. The main salon has a large convertible "U" Shaped dining area with soft leather upholstery to port. This area converts to a large comfortable double berth. To Starboard is a nice blue fabric upholstered love seat that is very comfortable. Behind both sides you will find nice shelves and cabinets for storage. The beautiful satin varnished interior is finished with Teak veneer and solid teak joinery. The cabin sole is a teak and holly "Everwear" laminate that wears like iron and of course is in excellent condition. Easy to navigate companion way steps! Clean and Smell Free boat interior! Vanity Storage cabinets and drawer. Bilge Pump Counter at Nav Desk!